Not all ideas translate directly. If the Splat marketing team spoke English as their mother tongue, they may have said, "Idea. Execution. Result." (I invite you to browse their English website to see how some ideas don't translate directly.) Does "professional oral care" mean a toothpaste that is suitable for dentists to use when cleaning your teeth? I'm not sure. And yes, the name - "Splat" is not what an American or an English person would name a toothpaste. It might be more appropriate for a windshield cleaner. So, on to the toothpaste. The paste itself has a very nice minty taste, without being too overpowering. There is a light herbal twist to the flavor... I am happy to accept their claims that the paste is created from "medical herbs." The paste itself has a warm light green hue that is reflected in the band around the tube. I also completely love the claim that "it exerts a mild effect on one’s emotional state, gives strength and creates a happy mood." I haven't experienced that, but perhaps I need to brush with it more often! Update: My son Ben purchased a tube for the Museum while he was living in Europe. 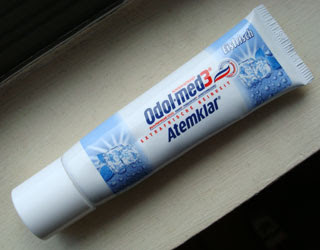 This tube has all English on the front and ingredients in 21 languages on the back! Thank you, Ben! Love this site!!! I just read every entry. I visited Russia last month and brought back four of the Splat tubes - I hope you can get your hands on some of the more interesting flavours they have, such as Blackwood. I didn't get to visit Russia (the paste was given to me by a friend), but if I ever go, I'll be sure to check out some of the other flavors. I just attended the IDS Dental Meeting in Cologne, Germany and visited the Splat booth. This vendor was only 1 of 2021 vendors, and it was the one that I was most impressed by. These folks have a bright future. They have completely innovative products that will compete successfully in a market dominated by Colgate and Crest. 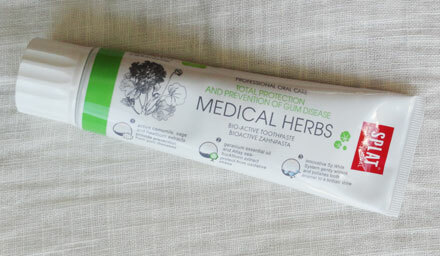 I brought a couple of tubes home - the same medicinal herbs mentioned in the article, and the Blackwood whitening paste. I will be sad when the herb tube is finished. I think if someone wanted to seize a great business opportunity, they would distribute this product in the US. It can only be sourced on Amazon at a cost of $12 - $23 per tube. 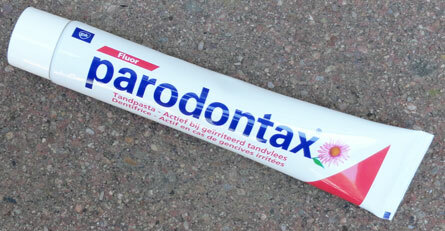 The US market for toothpaste is almost 2 Billion annually. 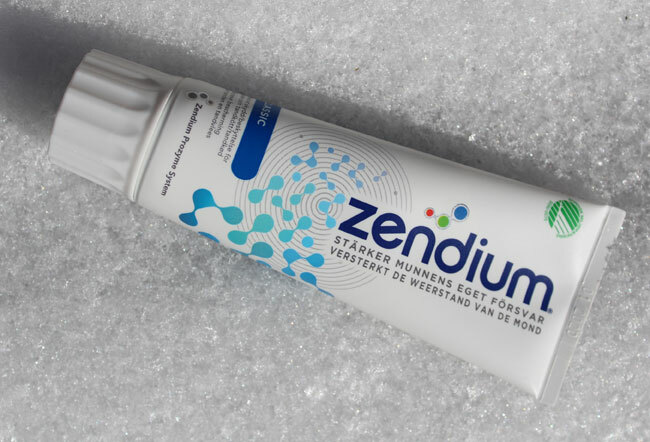 This product would fit nicely in health stores, and organic supermarkets.